What makes this book so special? 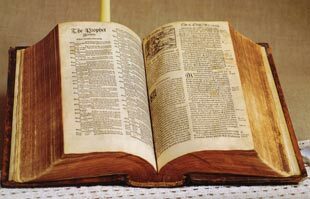 It contains the six most important English language translations of the New Testament, all arranged in parallel columns for easy textual comparison of any passage. 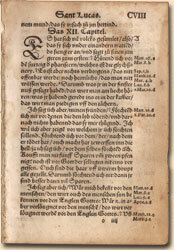 Each left-hand page shows: The Wycliffe version of 1380 (the first English scripture), The Tyndale version of 1534-1536 (the first English printed scripture), and Cranmer's Great Bible of 1539 (the first Authorized English Bible). Continuing across each right-hand page is: The Geneva “1557” - translation actually completed in 1560, (the Bible of the Protestant Reformation), The Rheims 1582 (the first Roman Catholic English version), and the 1611 King James First Edition... all side-by-side, and also laid out so the passages roughly match-up top-to-bottom as well..